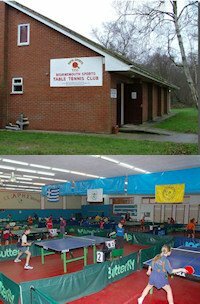 Kidston Table Tennis Club is located in Potters Bar, Hertfordshire, England. It is the original village Working Mens club, which to this day is used to serve the village for many different uses. The hall is next to the village hall (where we have permission to park) which is 200 metres from the village church. The building consists of two main rooms, a kitchen, 2 WCs and an office. The 1st room has a full size snooker table for full time use. The 2nd room (table tennis room in the evenings) is used daily as a nursery school. Martial arts is also taught there between the two main users. It is home for a bridge club and our local cyclists also meet there. Visitors are welcome to join us , but as it is heavily used, it would have to be by appointment. As we only have one table, we do have volunteers who are happy to coach people, but again it has to be by appointment. We are running nine teams in three different leagues. These are playing from premier standard right through to division four (beginners). As our club is heavily involved with league table tennis, our fees are linked to these, although we would normally charge £5 per hour. Although our club is very small, we have been able to completely refurbish internally over the last couple of years and still afford a new table. Across the nine teams we have about 50 players registered and pride ourselves that we probably have the best facilities in the area. We cater for the whole range of age groups and I am still a comparative new boy having been at the club for 45 years. My daughter plays for our division four team, and she has just been joined by our newest recruit who is 75 years young. Kidston is the village club were everyone meets up and uses the facilities in a very friendly atmosphere. Once you have been there, you soon feel part of it. If you would like to have a look around our club, please contact me (Graham Waddingham) and I can make the arrangements for you. 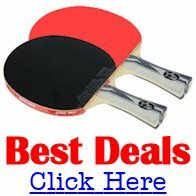 I have recently taken over as General Secretary, but have played league table tennis for 42 years.